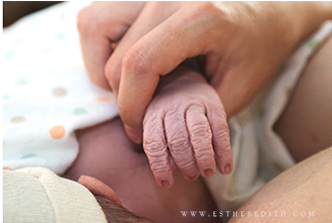 Esther Edith is a professional birth photographer serving the Spokane, WA / Coeur d’Alene, ID areas. 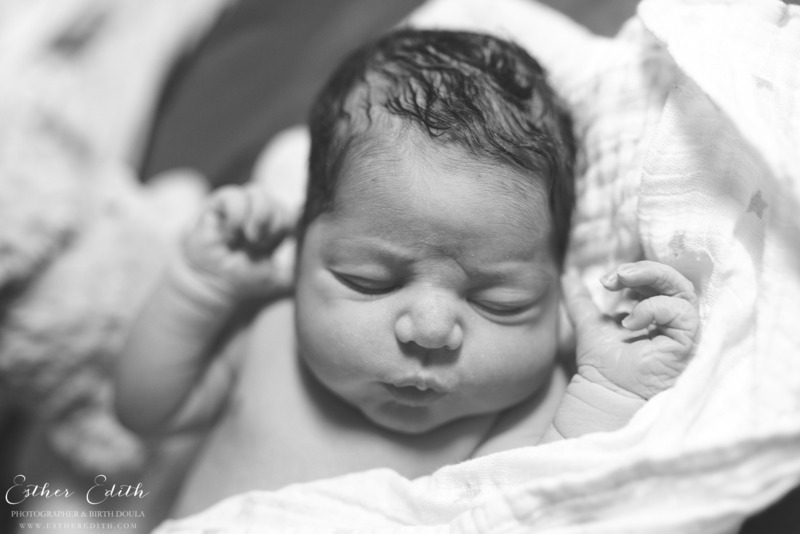 Here are a few reasons you might want to consider investing in professional birth photography. 1. Gives you the Freedom to focus on giving birth, without worrying about capturing every moment in your memory. Giving birth usually demands all of our energy and attention. From the intricate fabrication of your baby’s wrinkly little hands, to the expressions of awe and joy as you delight in them, your birth photographer preserves these special details for your family, in a beautiful, visual memory. Instead of your partner worrying about taking photos, invite a professional birth photographer to do their job, and to capture your birth event. One of my favorite images to capture is dad’s expression when he meets newborn baby for the first time. Your partner can give you his full attention, and be more relaxed and present with you during your birth, while your birth photographer skillfully documents it all. Every time a baby is born is a miraculous event. There are no do-overs with a birth. This is the one time your child will enter the world, and it’s an event worth documenting. We spend thousands to capture our weddings, not only because it’s a special day filled with love, joy, and beauty, but it also marks the event of inviting someone into your family; likewise, your birth is also worthy of being preserved in beautiful, lasting images. I have to admit: there are some rough days as a parent. During these times, I often look back at my own birth story images, and my heart swells with joy, thankfulness, and refreshed love for my babies. I have no birth photos from our first birth – only vague, faint memories. I regret not capturing it, but my birth photos from our last home-water-birth mean the world to me, and I look through them often, and they help me to remember the miracle of life, to not take it for granted, and to push through the challenges as I did with my birth. Having given birth myself, I understand the intimacy and vulnerability of giving birth; your comfort is my utmost priority. When we meet prior to your birth, I want to give you the chance to grow comfortable with me, get to know each other a bit, and go over the details of your birth plan. Together, we will brainstorm how I might best capture the process for you. Birth clients are my top-most priority, which is why from 37 weeks until your birth, I will be on-call for you 24/7. This means that all of my other sessions take second place, I do not plan any travel or vacation, and I prioritize your reserved time. We will stay in touch as you start to go into labor, and I will arrive at your place of delivery when you are moving into active labor. I will stay with you throughout the process, and up to 2 hours afterwards while you and your loved ones bond with your newest family member. If full birth coverage is not for you, but you really wish to capture those early, post-birth moments, please click here to view information on my “Fresh Baby” package.